Inspired by the beloved character Holly Golightly from the classic film, Breakfast at Tiffany’s, this stylish hardcover journal features illustrations of the movie’s most popular icons. 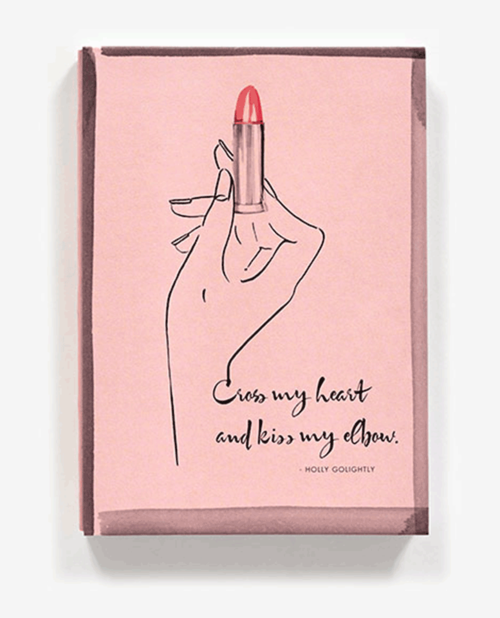 Holly’s multi-strand pearls, her cat eye sunglasses, her signature lipstick, and more are scattered throughout the interior lined pages alongside her signature one-liners (“Thursday! It can’t be! It’s too gruesome!”). It’s the perfect accessory for scheming, note taking, and venting on those days when you get the mean reds. 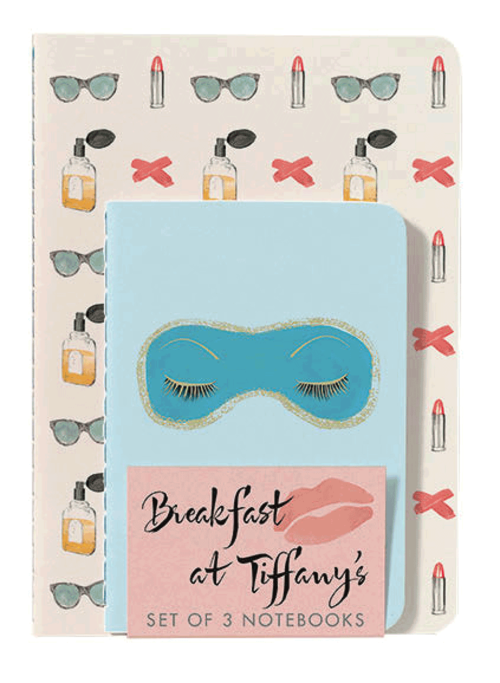 Inspired by the beloved character Holly Golightly from the classic film,Breakfast at Tiffany’s, this stylish set of three paperback notebooks is perfect for tossing in your bag, making lists and dashing down thoughts on the fly. 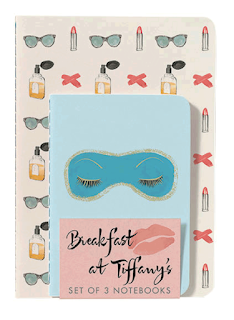 Each notebook cover features different illustrations of the movie’s most popular icons: Holly’s sequined sleep mask, her cat eye sunglasses, her lipstick, and more. The set includes two larger notebooks, one lined and the other blank, and a small notebook with a graph paper interior. 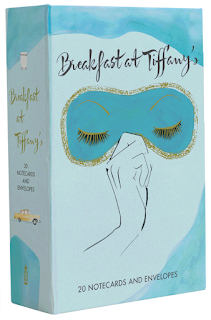 Inspired by the beloved character Holly Golightly from the classic film, Breakfast at Tiffany’s, this chic set of boxed notecards features the character’s signature one-liners paired with exquisite illustrations of the movie’s most popular icons: “I must say the mind reels.” is typeset underneath Holly’s cat eye sunglasses and her multi-strand pearls are elegantly draped alongside “Oh golly gee damn!” With 10 unique designs (two each, for a total of 20 cards), these stylishly clever cards are perfect for expressing everything from profuse gratitude to hearty congratulations. As an added bonus, each of the 20 envelopes is sealed with a kiss! All three of these are really lovely. The journal is really good quality and will be wonderful to write in. 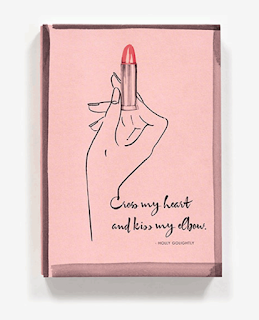 The notebooks are a perfect size for shoving in your handbag so you have somewhere to jot things down when you are out and about and the notecards are perfect for thank you notes to friends. I highly suspect my mother in law who loves breakfast at tiffanys to try and steal them all as soon as she sees them on her next visit.